Perfect fixture placement allowed Light/Space/Design to save this small business in both initial and long term energy costs. Example of graphic output of CAD based simulation for South Main Auto. Light/Space/Design’s early use of CAD software to simulate warehouse lighting saved this client over 50% in energy costs. Now LED options with controls offer even better savings with lower maintenance and energy costs. Light/Space/Design selects luminaires specific to warehouse high stack storage and added fixture integrated sensors as an ideal retrofit solution. Simple daylighting design using high band windows allowed Light/Space/Design to provide a workspace that was appreciated by management and employees. Before and After photos of a typical auto repair shop show how effective lighting saves energy, and money. Placing light where it is needed is key to an effective industrial lighting layout. Industrial and warehouse environments with lower ambient lighting needs are wonderful locations for daylighting solutions. Just as large high ceiling spaces traditionally used daylighting, we can adopt daylighting for reduced energy consumption. Retrofitting of existing warehouse and industrial spaces make good use of high output fluorescent and potentially LED luminaires, both of which allow more frequent on/off cycling for occupancy-based controls. When retrofitting, it is particularly important to consider differences in lighting needs from one lighting zone to another. Over-lighting is always energy wasted. 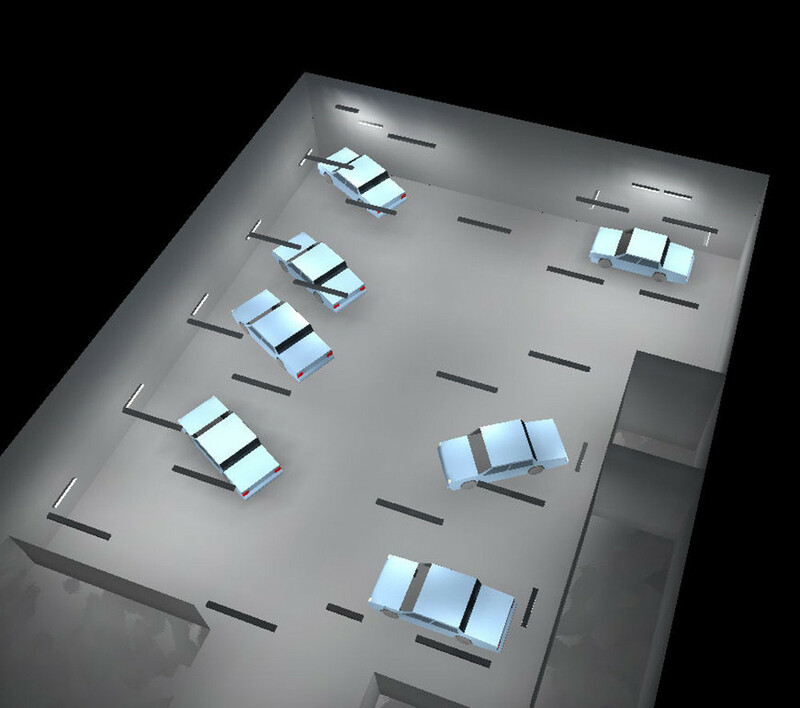 Design flexibility into lighting systems used in spaces where equipment layouts can change. Considering the effect of both fixed and movable equipment on the lighting layout. Higher level savings, and returns on investment of less than one year are frequently possible when converting to high output fluorescent systems from older, metal halide systems. Dust and dirt in an industrial environment can quickly reduce the efficacy of luminaires. Select luminaires and options with this in mind.